Think Thursday: Get Your Own Back! You might not always have people around to help you when you’re down and you might not be able to count on people when you need them most. It will be up to you to be your own ‘crutch’ and lift yourself up when you’re down, find your strength when you’re weak, find fullness when you’re empty or find yourself when you’re lost. This is part of your growth and testimony. Allow yourself to be there for YOU, to count on YOU, to trust YOU and to believe in YOU! It’s about time you start looking for yourself anyway. Right!? No one will take better care of you than YOU (and God of course!). It’s not about being selfish. It’s about loving yourself! Get your own back! 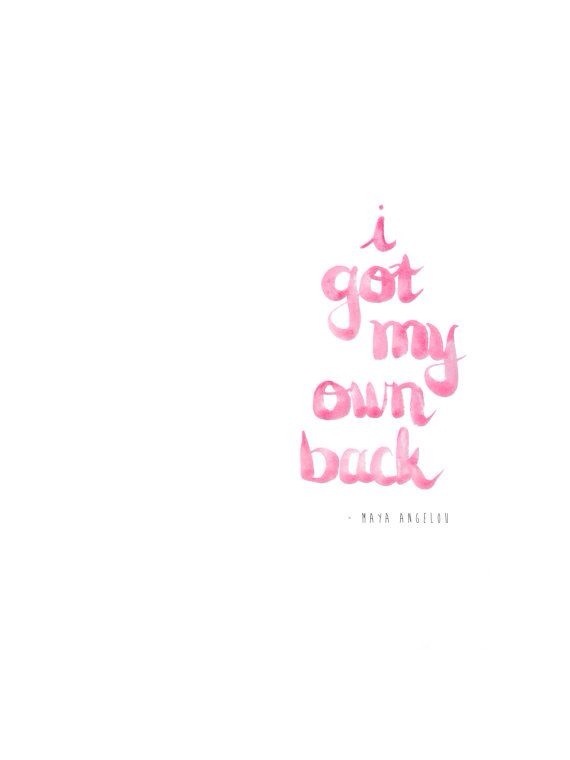 I got my own back. Do you have yours? « 2014 GQ Men Of The Year Awards!